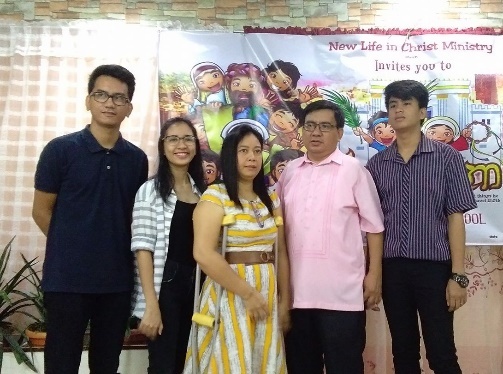 “… in Manila in the north, where Pastor Roy Rocha and his family minister as Advent Christian Movement in Manila. 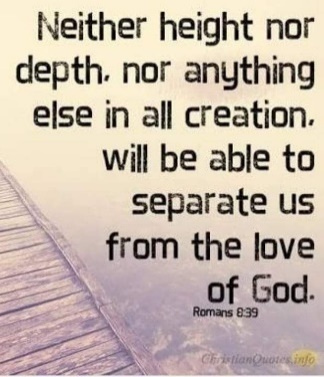 Roy wrote that he and his family had again been subjected to the flooding of their home. [on 23 July.] As Roy’s wife, Llerma, is unable to walk without crutches and cannot climb stairs, their home is at road level. 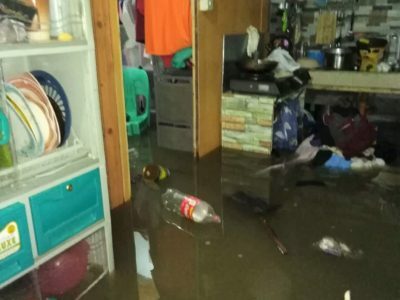 As the typhoon struck, Llerma had to be piggy-backed upstairs to safety as the waters rose, entered their home and covered their beds. Now the bedding has to be dried out and as the sun has not been shining over the last few days or so, this is almost impossible, so they are sleeping on wet mattresses and bedding. Other belongings have to be dried out as well. This flooding occurs on a regular basis during the rainy season. Roy’s family is taking medication to help prevent catching any disease (leptospirosis) as advised by the local health authorities. 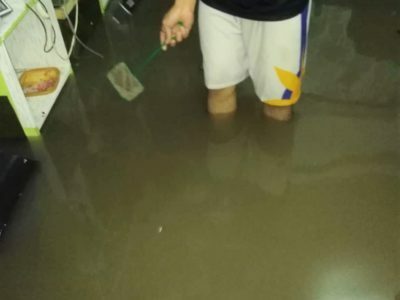 Since these pictures were taken, the water subsided and things began to dry out, but another typhoon has brought similar flooding!! On Saturday 11th August the rains started again and are due to last at least until this coming Wednesday. 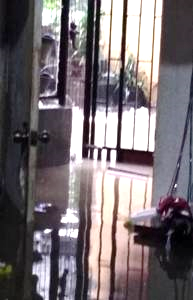 Outside of Roy’s house the water was 4 feet deep (1.2 meters). This means that everything is wet again and Roy and his family have had to go once again to his Mother’s house. The Sunday morning service was cancelled but they were able to hold the 5:00pm service. Many major streets were flooded and public transport was cancelled. Work is still cancelled. 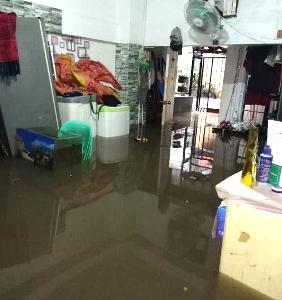 Please pray urgently for Roy, his family, members of his congregation and indeed all who are affected by this flooding, that they at least will be kept safe over these coming days. 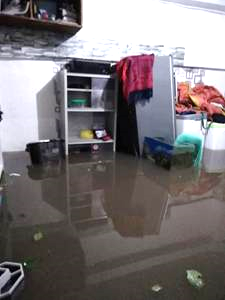 Please pray also that Roy will be able to find and afford permanent, alternative accommodation which is above the flood zone.